Gold and Platinum Turns 60! 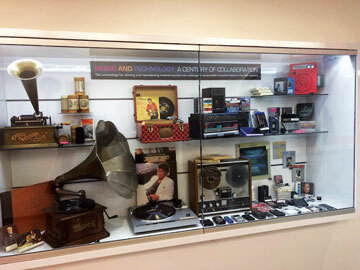 Love of Music Magazine® visited with Chief Technology Officer David Hughes in his office at the RIAA in Washington, DC. David is technological walking history coupled with innovation and creation, as he is also an inventor and creator of a number of U.S. and international patents. Hughes is known for his promtion and development of technical standards, new formats, emerging technologies as well as educating and keeping the music technology industry up to date and informed. 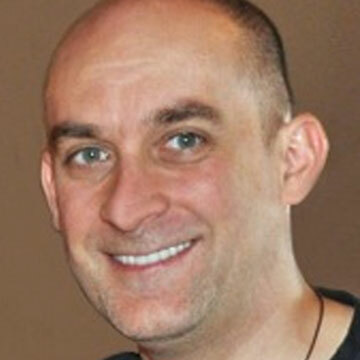 He sits on the Library of Congress’ National Recording Preservation Board, has worked with Sony Music running the Technology Strategies and Digital Policy, created the industry’s first Global Digital Business department and contributed to industry standards including MPEG, DVD-Audio, Blu-Ray, UltravVolet and SACD. As well as being instrumental in the promotion of the Hi-Resolution Music Industry. Known as an innovative leader, Hughes has spent a great part of his life dedicated to the understanding and sharing of music, its technological intricacies and has worked within digital distribution since the mid 90’s. David holds music related Science and Master’s Degrees from Japan and Canada. Since 1952 the RIAA has hired music leaders, has been investing in great artists and protecting their creative freedom. This is the heart of the work at the RIAA, where members work tirelessly to find new artists, help them reach their potential in the business and help them find new fans. The RIAA supports labels by recognizing excellence through their Gold and Platinum program protecting music copyrights, providing tools for parents and helping music creators maintain production standards. The Recording Industry Association of American® (RIAA) is the trade organization that supports and promotes the creative and financial vitality of the major music companies. Their members comprise the most vibrant record industry in the world, investing in great artists to help them reach their potential and connect to their fans. Nearly 85% of all legitimate recorded music produced and sold in the United States is created, manufactured and distributed by RIAA members. This is the 60th Anniversary of the Gold and Platinum Program recognizing creative excellence around the globe. This program is the industry’s premier program for celebrating artistic achievement in the marketplace. The awards earned and bestowed upon artists by the RIAA have met the most rigorous standards and help them achieve the ranks of the most iconic recording artists in history. Visiting with David at the RIAA was educational, informative and inspiring. The sharing of knowledge, experience and information of the music industry builds trust, excitement and helps the artist, musician and the industry move forward to their own goals of success. Music and Technology: A Century of Collaboration. The technology for storing and reproducing has undergone remarkable transformation in the last century. Hughes shines with the sharing of knowledge and understands educating the upcoming generations is a key to success, for both the individual artist and the music industry as a whole.